Mercy Multiplied celebrates the end of the year annually with our Merry Mercy, An Evening of Mercy, and Mercy Wonderland events. These events are our way of celebrating the past year with our donors and supporters. 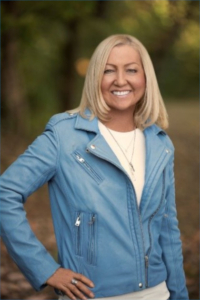 Founder & President, Nancy Alcorn, will attend An Evening of Mercy in Monroe and Merry Mercy in St. Louis and Nashville. Last year, Merry Mercy had the largest crowd ever in attendance, with 440 guests in Nashville and 296 guests in St. Louis. Each event also received the largest amount of donations from the respective parties. If you are interested in attending any of the below events, tickets can be purchased at MercyMultiplied.com. An Evening of Mercy in Monroe, LA will take place on Thursday, November 15th, 2018 from 6:00-9:00 PM. 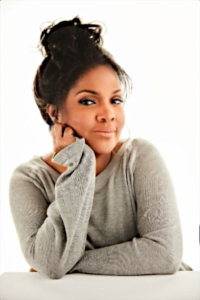 Monroe will host CeCe Winans, GRAMMY and Dove Award-Winning Vocalist for their entertainment. The dinner is complimentary and there will be an opportunity to give to Mercy Multiplied. Merry Mercy in St. Louis, MO will take place on Thursday, November 29th, 2018 from 6:00-9:00 PM. St. Louis will host Francesca Battistelli, GRAMMY and Dove Award-Winning Singer, Songwriter for their entertainment. Tickets are $25. Please RSVP by November 26th to claim your tickets! The Sacramento home will be transformed into a Mercy Wonderland while guests enjoy heavy hors d’oeuvres, a hot cocoa bar, and live Christmas caroling. Guests will walk through the Mercy home and experience the past, present, and future of Mercy Multiplied! The event takes place Friday, November 30, 2018 from6:30 PM – 8:30 PM. The ticket price is $35. Merry Mercy in Nashville, TN will take place Tuesday, December 4. The event will begin at 6:00 PM with a reception and silent auction, followed by dinner and entertainment at 7:00 PM. 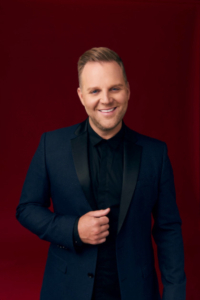 The evening will feature Mercy’s Founder & President, Nancy Alcorn, Mercy Multiplied Graduates, and Matthew West, a GRAMMY Nominated and Award-Winning Singer and Songwriter for the entertainment. The tickets are $135 ($60 tax deductible), and you will need to RSVP by November 29th! Mercy Multiplied is thankful for each sponsor and guest that attends the Merry Mercy Christmas Benefits. We hope to see you at one of our year-end celebrations. For more information on all of these events, please visit our Facebook page.